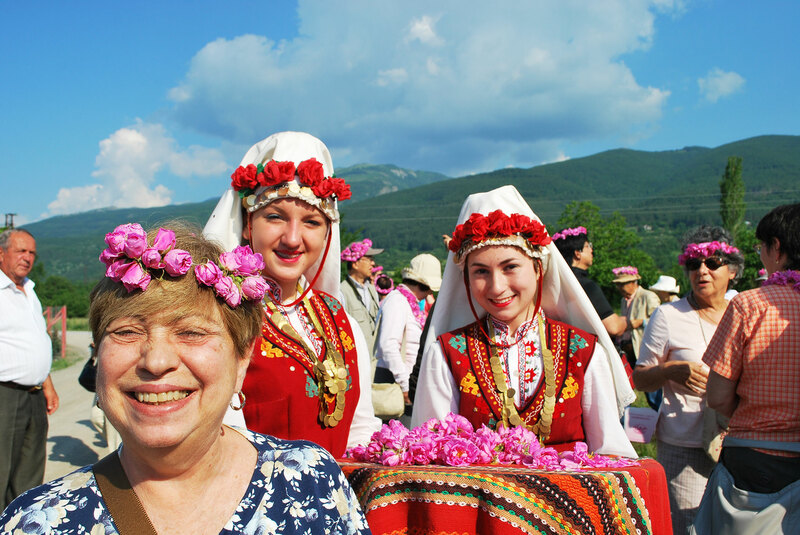 2019 Bulgaria Rose Festival Tour will reveal the secrets of producing Rose Oil and includes visits to 4 Rose Oil distilleries. You will meet the local producers and discuss with them the quality of the Rose Oil produced in the Rose Valley of Bulgaria. One of the world's most beautiful rose oil today comes from Bulgaria. One of the highest per cent of the world's attar of roses is obtained in the Valley of Roses. 3,5 tons of rose petals go into the making of one kilogram of rose oil, which has the price of gold. 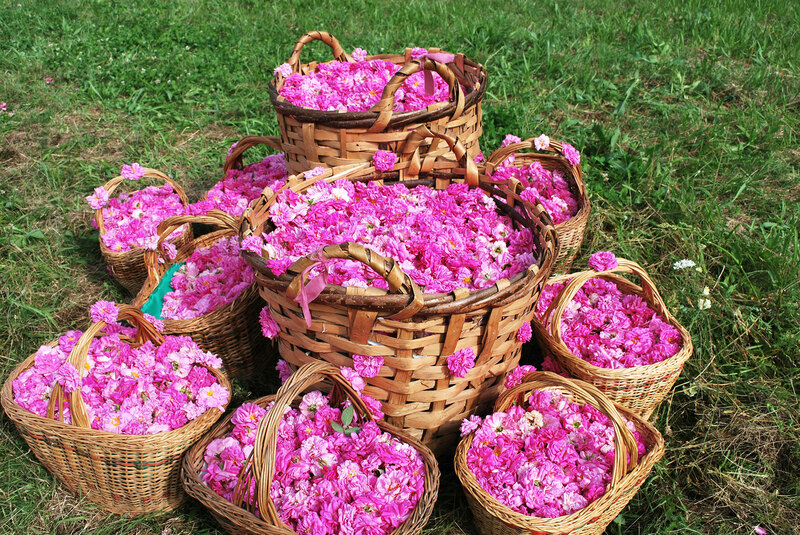 The Bulgarian “attar” of roses is an important component in the perfumery business throughout the world. Bulgarian rose oil is used in space industry, as a greasing component in space equipment, due to its resistance to any temperature changes. Rosa Damascena is the name of the oil-yielding rose, which made Bulgaria famous for production of the best rose oil in the world. “Born” in Syria, Damascus, Rosa Damascena mill was brought to Bulgarian lands during the 17the century –Bulgaria then was part of the Ottoman Empire. This full of aroma rose found a second home in Bulgaria. It gave its name to a whole region – The Rose valley of Bulgaria. Extending more than 130 km along the Balkan mountain range, the Rose valley is surrounded by two mountains, which stop the cold winds in the wintertime and help create a specific climate. The combination of several factors makes this region a unique place for growing this sort of rose. The oil extracted from it is the best quality in the world. So the Valley of Roses became a centre of rose oil production and export for centuries. The Rose Valley includes Karlovo and Kazanlak fields, as well as some parts of the Nova Zagora fields. The Total area is about 3,300 square kilometers. 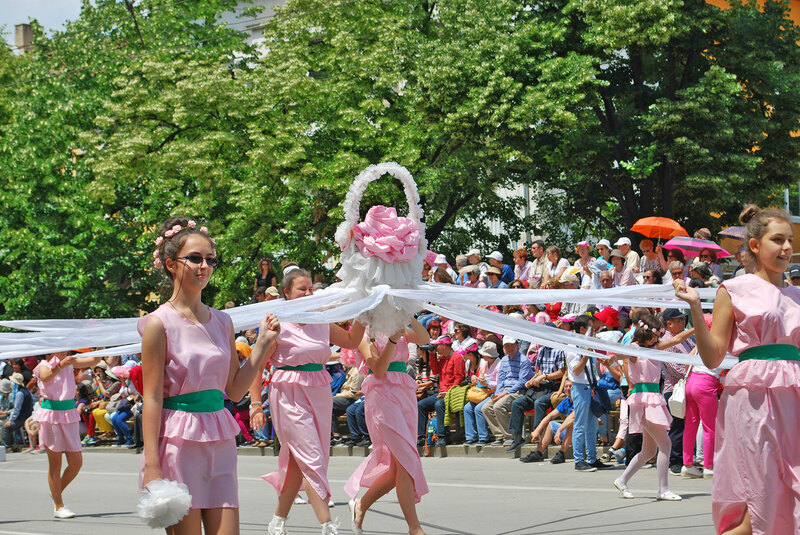 Every year, during the first weekend of June, local community in Kazanlak organizes the annual Rose Festival. The first festival took place 108 years ago, in 1903. Celebrations were held annually, at the beginning of the rose- harvesting period. Karlovo and Pavel Banya- also known for their rose production, started organizing local rose festivals, too. Manufacturers from the whole valley gather dressed up in rose flowers. Mummers, called “koukeri” take part in the street parade. People sing and dance in the streets during the whole fest. Three main events are worth a visit – early morning harvesting ritual in the rose fields, the electing of Queen Rose and the parade along the streets of each town. The processions and the celebrations last for two days. The climax of the festival in on Sunday when Queen Rose is being elected and festival parade takes place along the main streets of each village. There are other interesting events, taking place during the festival weekend – choir a cappella and folklore concerts, art shows, exhibitions, wine-tasting, gourmet-shows, etc. 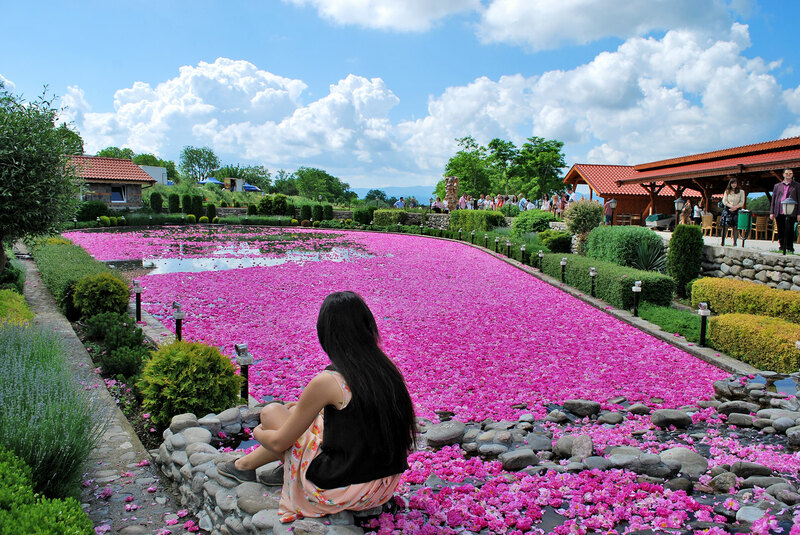 The Rose Festival and the fame of the Bulgarian oil-yielding rose attract numerous visitors from all parts of the world, the most numerous are visitors from Japan, Taiwan and France. Our guide will meet you at Sofia International airport and assist for a transfer to hotel. Check in. After a short break for refreshment, a short familiarization with the city and hotel vicinity will follow. Rest of day at leisure, to overcome jet lag. Accommodation in Sofia at Hotel Niky, 3* . After breakfast, enjoy a sightseeing tour of Sofia, which is a city with 7000-year long history, including a visit to the impressive Alexander Nevski memorial Cathedral. Tour proceeds with panoramic sightseeing of the University, the National Assembly, the Banya Bashi Mosque, the Rotunda of St. George, Roman ruins, National Palace of Culture. You will continue to Rila Monastery - the largest in the Balkans, included in the UNESCO List of World Cultural Heritage. It will captivate you with its unrivaled architecture and murals. Enjoy a tour of the monastery, including the 14th century Hrelyo Tower, the five-domed Birth of the Blessed Virgin Church and the original monastery kitchen from the 19th century. In the late afternoon return to Sofia. Accommodation in Sofia at Hotel Niky, 3*. Following breakfast, continue east towards the Rose Valley. The Rose Valley includes Karlovo and Kazanlak fields, as well as some parts of the Nova Zagora fields. The Total area is about 3,300 square kilometers. Your first visit to a local rose-oil distillery will be just one-hour drive from Sofia. Continue via Karlovo to the village of Tarnicheni, close to Kalofer. 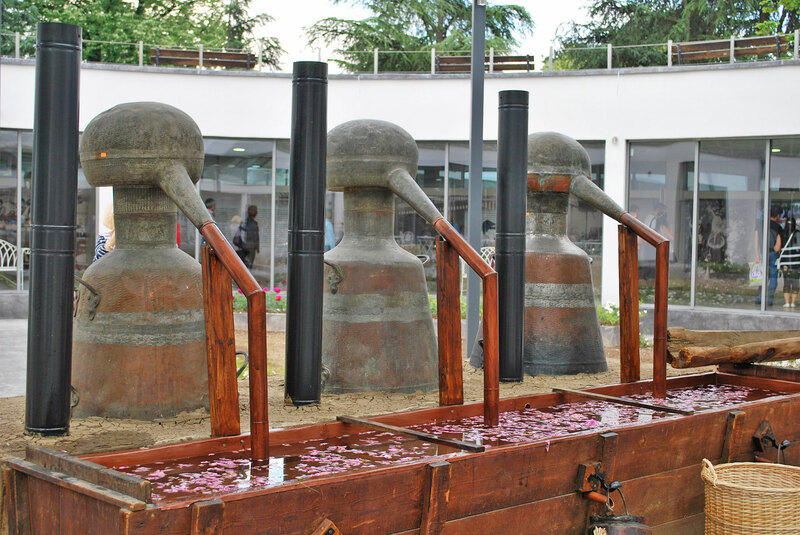 Visit the local distillery and attend a lecture on rose water and rose oil distillation. Meet the local producers and taste the aroma of natural oils, produced here: rose oil, lavender oil, etc. In the afternoon you will continue the drive towards Kazanlak to visit the Rose museum. This small museum will tell you the story of rose production and more about the industry standards, set by the Bulgarian producers centuries ago. Time permitting, you will visit yet another rose-oil distillery in Kazanlak before driving to Hisarya for dinner and overnight. B,D, Accommodation in Hisarya SPA resort at the 2* hotel Hello Hissar. Early morning breakfast at hotel, followed by a visit to the rose fields to participate in a rose picking in the rose fields of Kazanlak. Proceed to the village of Skobelevo and visit the Ethnographic complex “Damascena ”with its rose gardens and distillery. 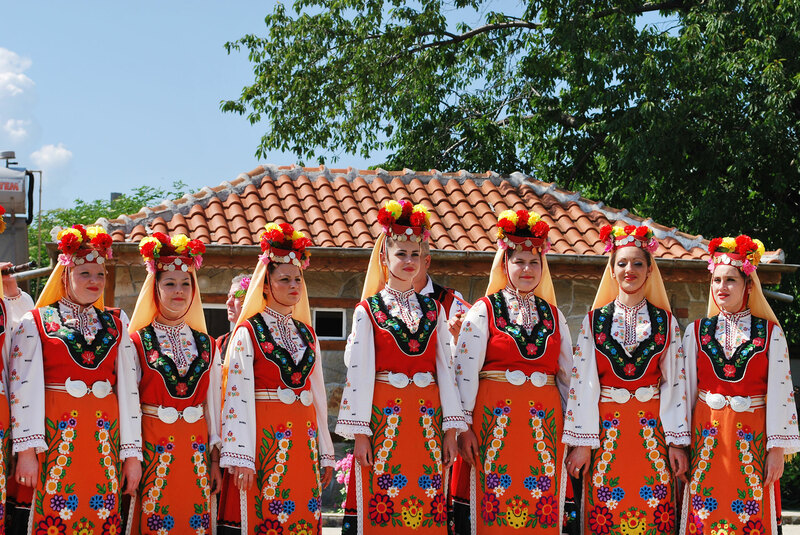 At noon proceed to Kazanlak to attend the street parade, before driving to the Picnic place in an open-air restaurant where you will enjoy traditional foods, wine, music and folklore dance show. In the afternoon you will continue onto Bulgaria’s second ranking town, Plovdiv(1,5 hrs. drive). It is set within the Thracian plane with the Maritsa River flowing through the city. Plovdiv is the oldest continuously inhabited city in Europe, which is located on six hills. No one can tell exactly when the foundation stone was laid here, although it must have been over 5000 years ago. Old Plovdiv on Trimontium hill is the centre of Bulgarian national revival architecture at its height. You will take in a brief walking city tour and explore the Roman Theater which is one of the world’s best preserved ancient theaters. B,L, Accommodation in Plovdiv at a 3* hotel . Following breakfast, you will enjoy the rest of Plovdiv’s sights. Take a visit to the Old Town, the Roman Stadium, the Byzantine and mediaeval fortifications, the 15th century mosque. Walk along the narrow cobbled streets and admire the silence and tranquility of this historic town. In the early afternoon you will continue the journey back to Sofia - a 2-hrs drop-off transfer to Sofia airport, where tour ends. English-speaking guide throughout the tour. In case of 2 travellers, the guide will be driver as well.